Tyler Fowler's witty and clean brand of stand up comedy has made him a favorite around Chicago and across the US. Regularly appearing at Zanies Comedy Club, Riddles Comedy Club and The Comedy Clubhouse he was recently named among the 'Best Of The Fest' at the 2018 Cleveland Comedy Festival. 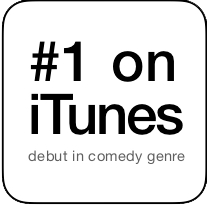 Recorded in January 2018, Tyler's debut album Friends With 401(k) Benefits premiered #1 on the iTunes Comedy Charts and Top 10 on the Billboard Comedy Charts. As a co-Founder and producer of Chicago collective Team Us Comedy he produces a number of the cities favorite shows including Cocktails & Humor and Laugh Near Minimalist Furniture. A trusted act for private entertainment and as an event emcee Tyler has been lauded for his ability to engage audience of all ages and backgrounds. Work with him to plan a memorable birthday, anniversary, company gathering or an unforgettable evening with friends.